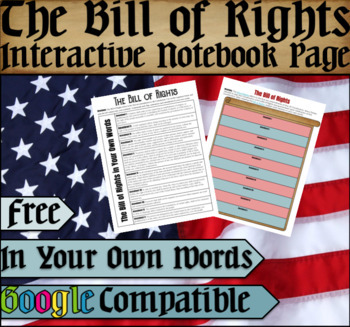 This is a great resource to include in your unit about the Constitution or the Bill of Rights! 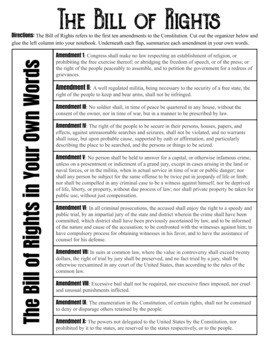 In this activity, students will read the first ten amendments to the Constitution (aka the Bill of Rights) and then summarize each of the amendments in their own words. The resource comes as an un-editable pdf download. Thanks so much for checking this resource out! If you like this resource, check out some other Freebies!